Buying a business can be both stressful and exciting for both the buyer and the seller. Both the buyer and the seller want to know that the sale is going to go smoothly and that each person will be covered by the sale and purchase agreements. As there are many complexities that arise during a sale and purchase, it is recommended that you get your lawyer to help you to draw up the complicated documents. The business purchase agreement will outline all the details of the sale. If done correctly, this document will avoid legal problems for both the purchaser and the seller in the future.Once this document is signed by both the buyer and the seller, it is considered a court accepted document. Assets to be transferred and those not included in the sale. Documents, books and records to be handed over to you such as leases, financial statements, tax returns, accounts receivable and payable, contracts with suppliers, customers and employees, articles of incorporation, property deeds, customer and supplier lists among other papers. 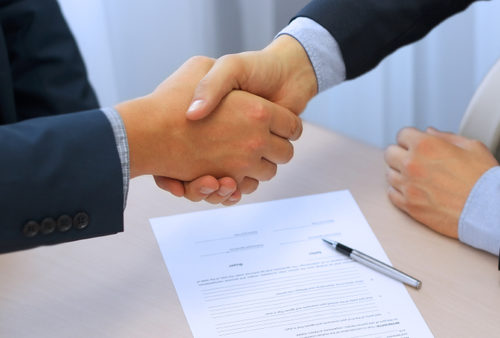 Conditions or contingencies agreed upon including paying off of existing loans, transfer of existing business contracts to the buyer, transfer of employees, and a list of the existing creditors to be paid off. Warranties and liabilities of the seller such as insurance claims, legal proceedings, informal arrangements with 3rd parties like lessors, and any issues with customers or suppliers. Approximate date for transfer of ownership and possession of the business. Time limits for each procedure. Non-competition clause – this prevents the seller or vendor from opening or operating a similar business within a geographic area and an agreed upon time period. Other terms and conditions of the sale. The court that has jurisdiction should there be any dispute. The cost of having qualified professionals structure this agreement is the peace of mind. Call us on 09 267 2700 or contact us.